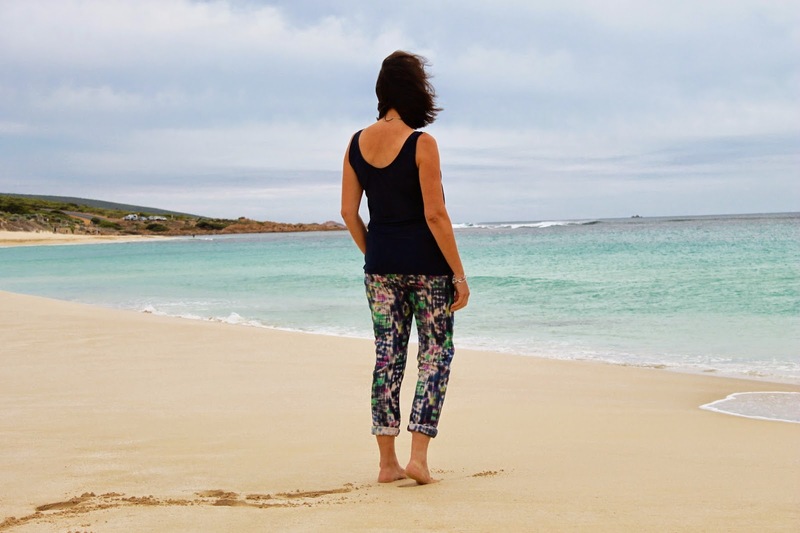 An upcoming four-day getaway in Yallingup, three hours south of Perth, prompted a holiday pants sewing session. We stayed at a farm in the bush, which was just idyllic. The boys rode horses and tractors and ate passionfruit from the vine to the point that I seriously feared for their digestion. 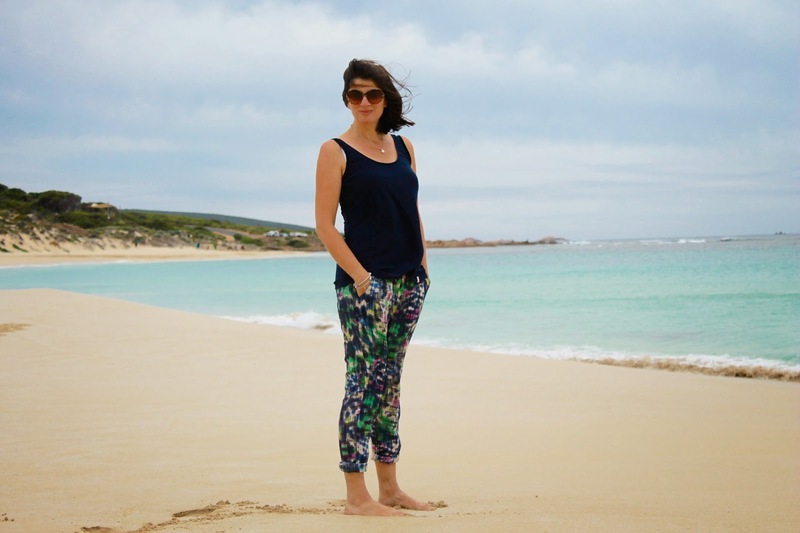 It was only ten minutes drive to the wild and beautiful Yallingup beach where these photos were taken. The pants are StyleArc lola, which I have made before and which are the ultimate in comfy-but-still cool-to-be-seen-wearing attire. I think so anyway! The first pair were made with silk charmeuse, which gave a completely different look to these, made with open-weave, silk/linen from Homecraft Textiles. I have also made some in fleece (unblogged), which are super cosy, while retaining the fashionable shape - think Papercut Anima or True Bias Hudson Pants. I like the look of these rolled up, boyfriend-style, but I can also vouch for them worn with Blundstone boots (Blundies) for instant farm chic! That's me Alabama Chanin-ing under the fruit trees. This random beach dog was suitably impressed. 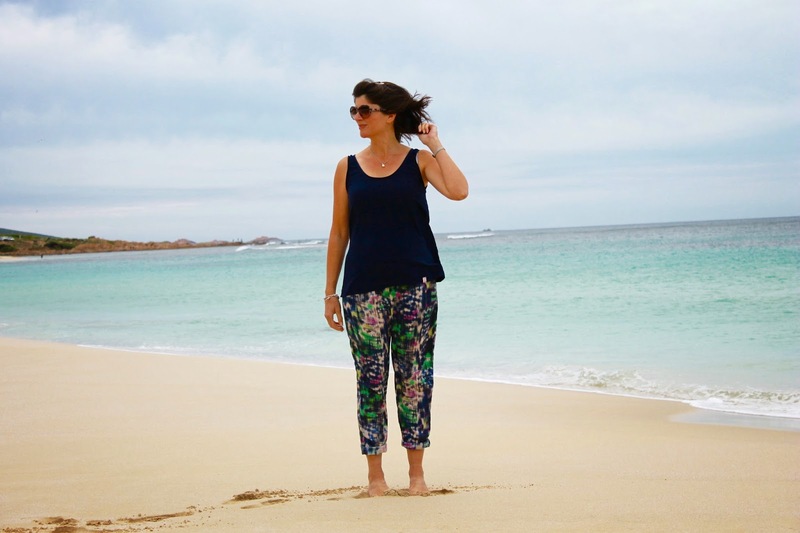 There's not much more to say about these, but I just love the relaxed fit, the pocket placement (I used navy cotton for the pockets, see below for a peek) and the elastic waist, which is essential for long lunches at local wineries. The silk/linen was a good choice as it doesn't crease and feels cool in the sun and warm enough in the wind. 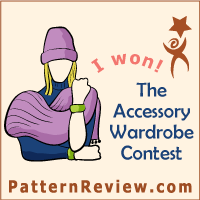 It frayed like crazy while sewing, but submitted nicely to the overlocker. I would have loved this fabric as a dress too, but pants are more practical as autumn sets in, not to mention the pattern hiding a multitude of farm dirt! I'll leave you with a gorgeous Australian Kelpie controlling some wayward sheep. What lovely fabric. I wear my Animas constantly. Stylish and comfortable pants are always a winning combination. I like your Lolas. I never would have thought of making them up in silk linen. Those are the most stylish farm trousers I've ever seen. Silk linen sounds lovely to wear. These look great. Love the fabric. They look great. I had planned to make something similar during the summer and lost sight of the goal. I absolutely love these trousers! So much so that I'm tempted to buy this pattern :) I had a RTW pair a few years ago like this - they were great for hot weather while covering the legs. 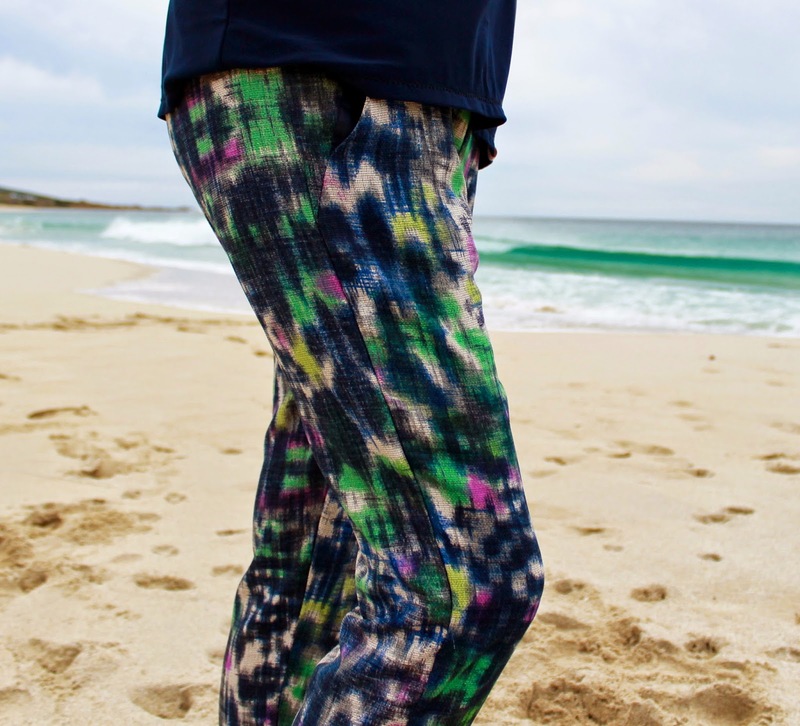 I'm so addicted to printed pants at the moment - yours are gorgeous! Seriously, the number of times I've hovered over the 'add to cart' button on the Lola's is ridiculous. I keep telling myself, I'll get them next time. Now I really do need to get them next time. Silk Linen? Divine. 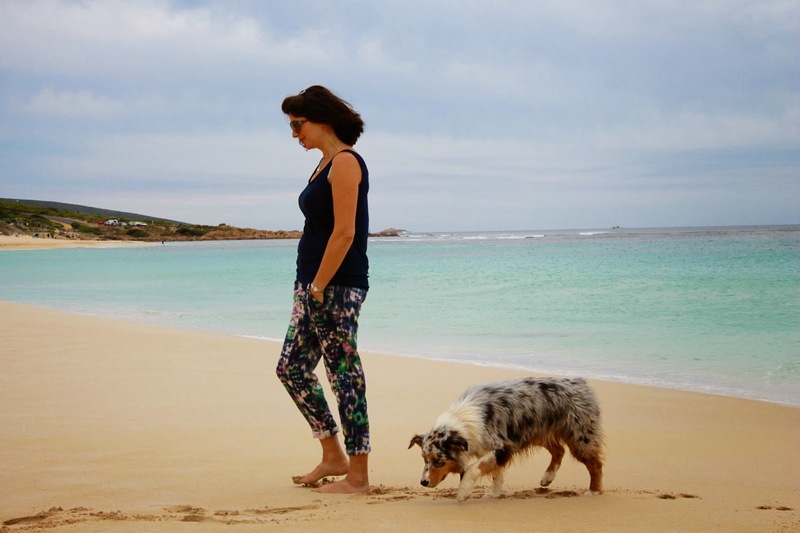 What perfect pants for the beach, and your dog is gorgeous!